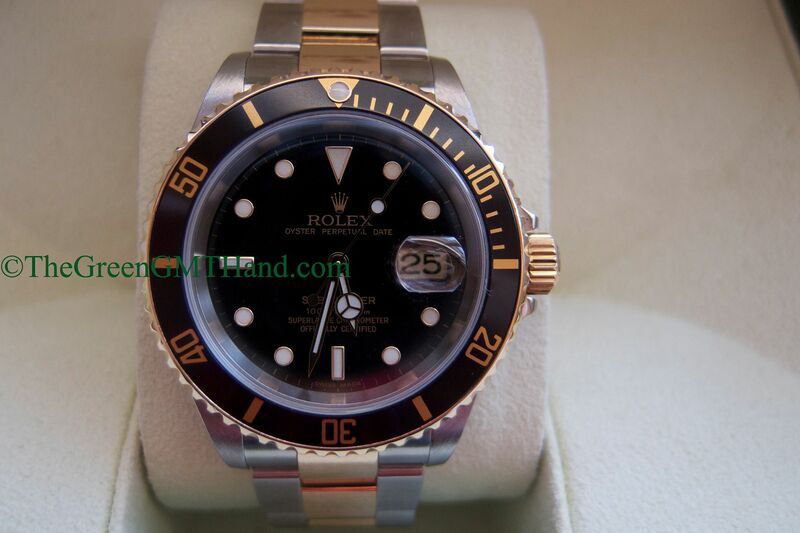 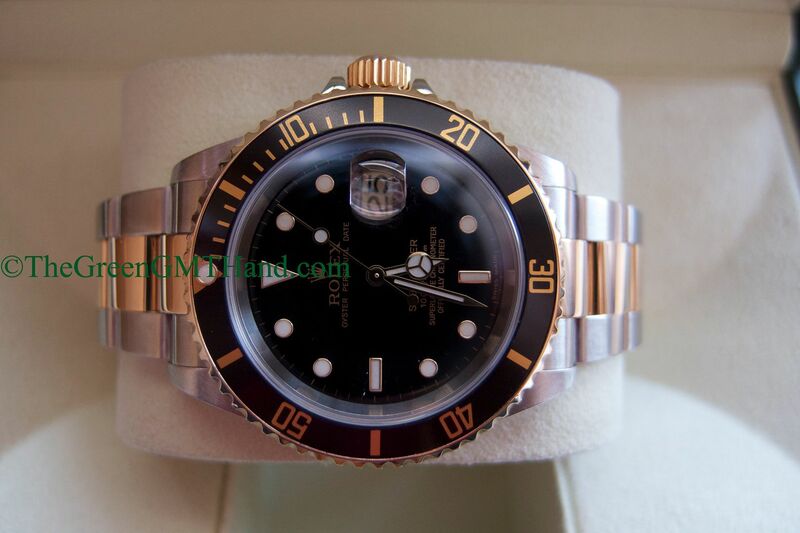 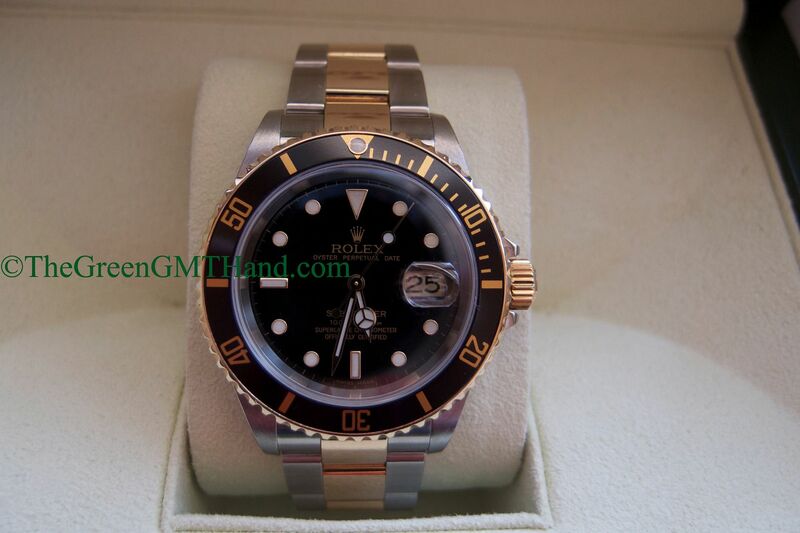 This D serial Rolex 16613 Submariner is a complete set. 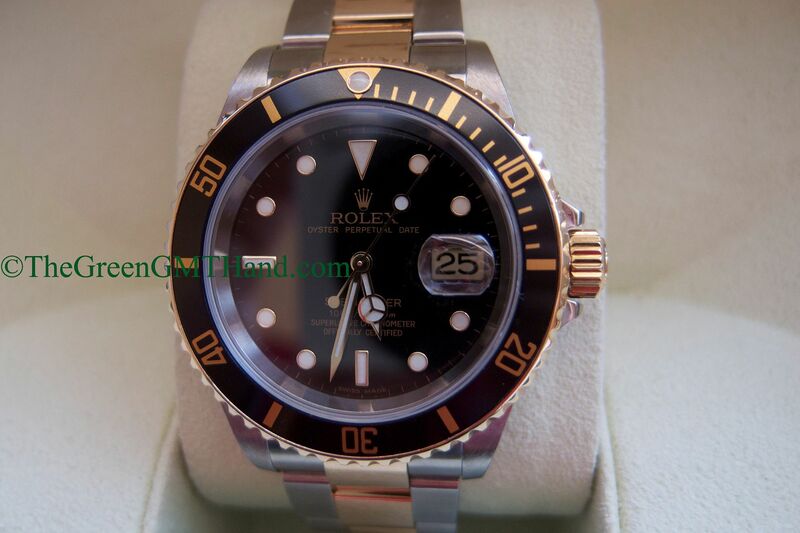 We installed a brand new OEM Rolex insert and performed a complete water and pressure test before delivering to our buyer. 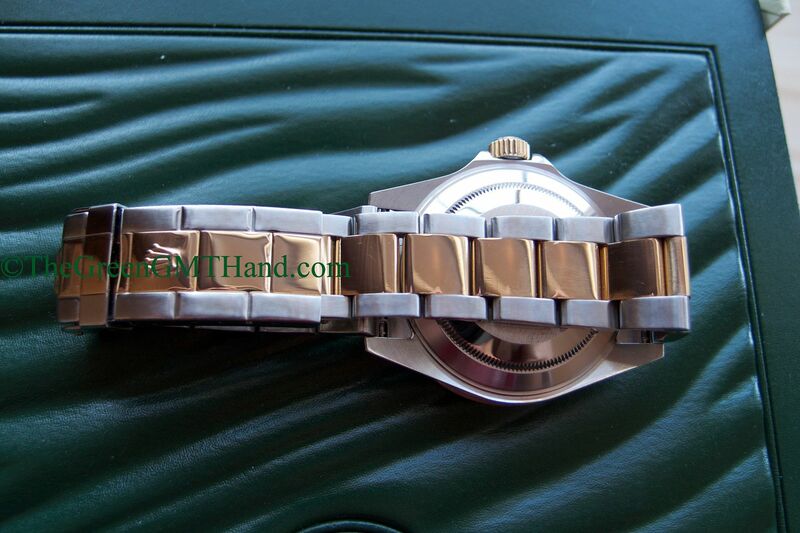 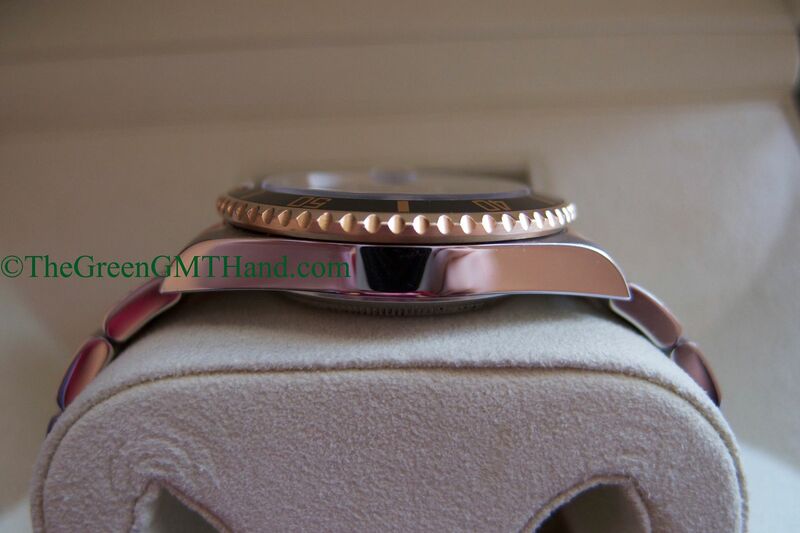 This particular timepiece features the solid end link SEL bracelet with gold through clasp, and has a no holes case. 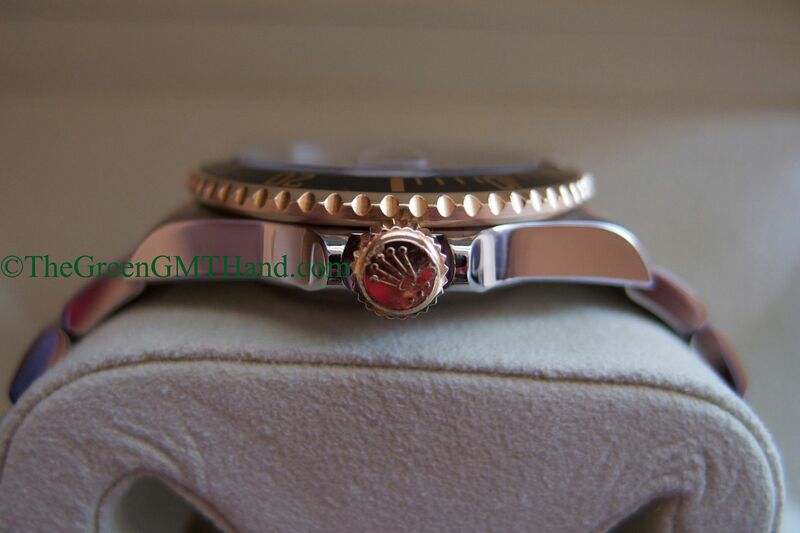 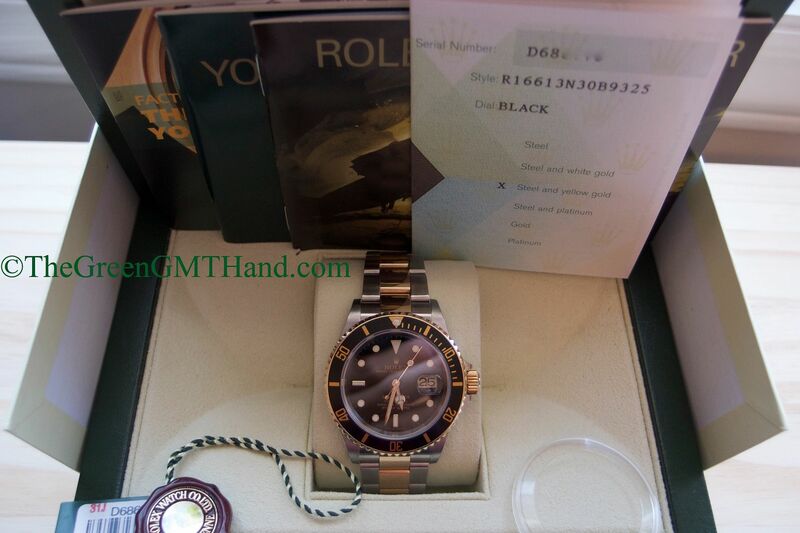 It is complete with all boxes, manuals, Rolex warranty certificate, and even the bezel protector. 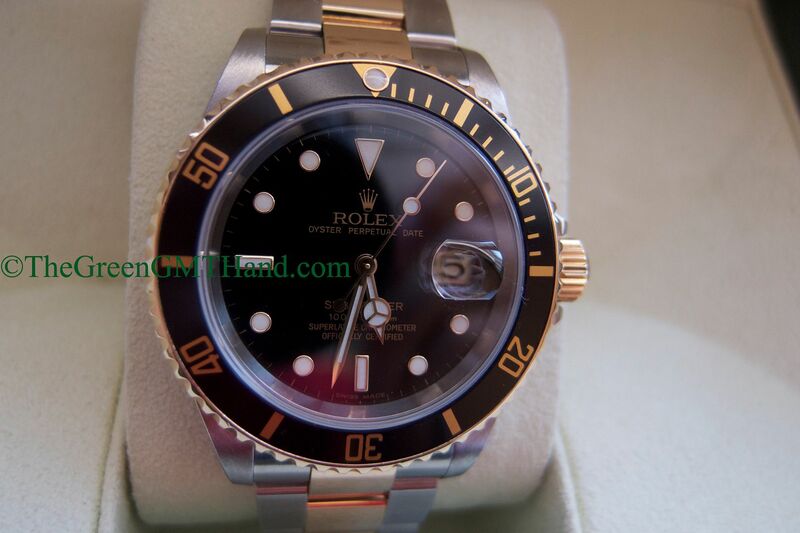 The 16613 features the same tried and true Rolex workhorse 3135 movement as the 16610 stainless steel Submariner, and it has been discontinued for the Rolex 116613 ceramic two tone yellow gold and steel Submariner. 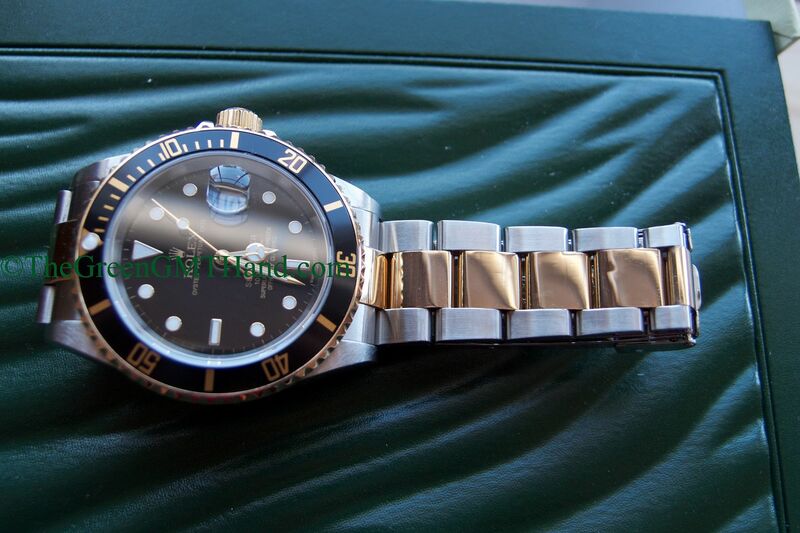 Like its predecessor, the 116613 also comes in black and blue dial colors, but no extra champagne or slate serti options, only extra blue and black diamond choices. 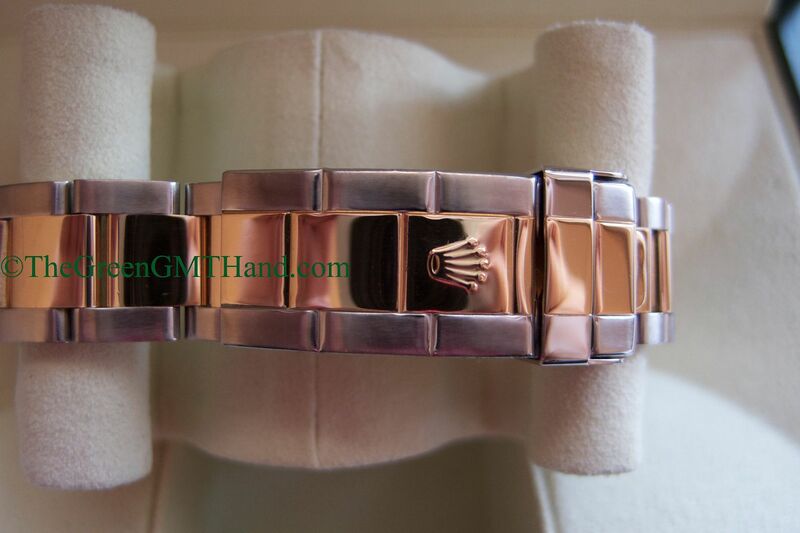 SOLD and delivered to our buyer as a complete set seen below.